Our shuttle will meet you in the P1 parking that is found opposite Terminal 1. The airport offers free inter terminal transport so if your are arriving at either terminal 2 or 3 you can easily make your way to this area. Look for a bus with either MKK or Myoko Shuttle on the sides. 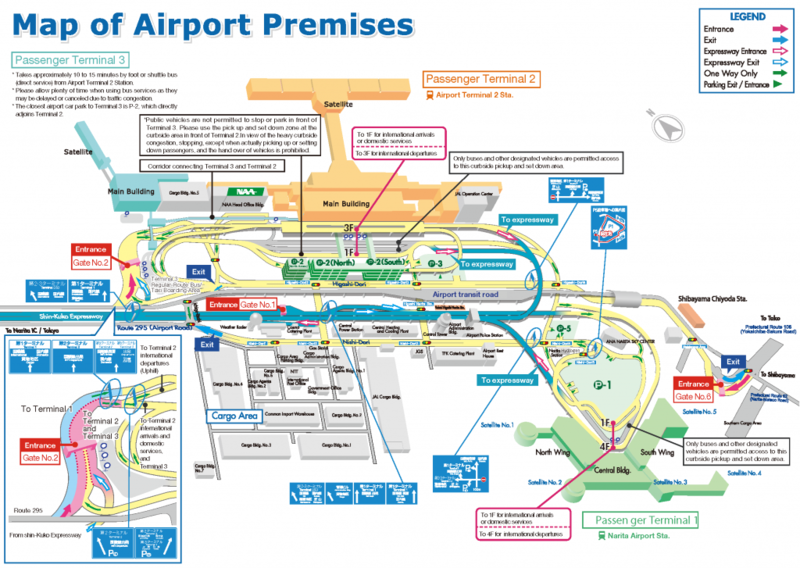 You can download a PDF of the Narita map HERE for offline use.